February 21st, 2014 by Big Fish Games in Game Development. 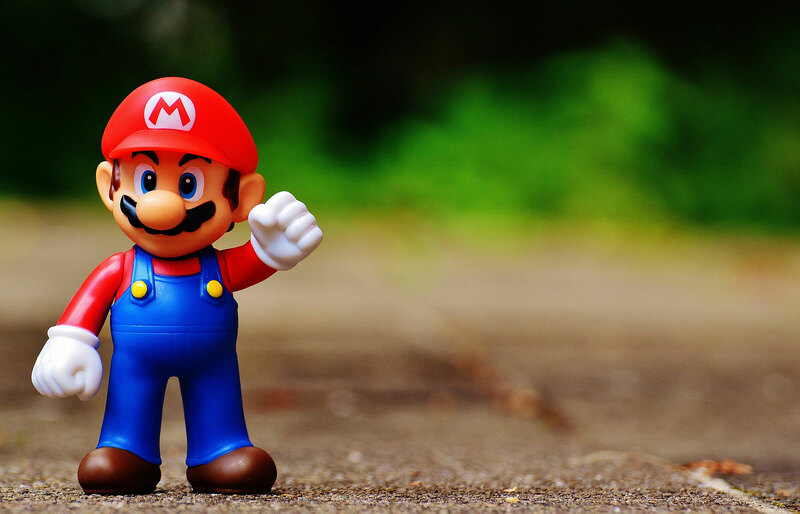 Ever wanted to learn about how to adapt a comic book into a video game? How do game developers and comic writers work together? We asked those questions and more when we sat down with games developer Gogii Games a few weeks ago. Learn how Gogii overcame the pitfalls & captured the spirit of the classic comic Archie, in their newest game Archie: Riverdale Rescue! When your done with the interview, you can try the game here for an interactive Archie adventure! Hello world! My name is John Kimmel and I’m the Producer at Gogii Games for Archie: Riverdale Rescue. Our current development team includes Matt Sullivan as lead developer, Natalie Gueguen as designer and programmer, Dan Jackson as feature developer, Fred Duguay as Android developer, Ian Dionne as QA Lead, and Tim Murray and Laura Blackbeard as lead artists on the project. Gogii’s Director is George Donovan, and our Executive VP and the original designer of the project is Luc Goguen. That’s not to mention the dozens of other Gogii-ites who have had a hand in features, art, development, testing and QA, and production that aren’t actively on the project now! What made you decide to try and adapt a known and popular comic book franchise to a video game? Gogii was presented with the opportunity to make a licensed game from the Archie Comics franchise two years ago and it was a perfect fit for one of Gogii’s first Free-to-Play games. Not only was the team at Archie Comics enthusiastic about Gogii’s vision for the project, but they’ve supported us as a true development partner since day one. The Archie universe already has so much content to leverage, as well as an intensely loyal fan base, that it was an easy choice to make! Why did you pick Archie? Is there anything special about this particular comic book series that made you think it would make a good game? I think that if you ask anyone in North America between the ages of nine and 99 about Archie, Betty, or Veronica, they’ll each have their own recollection or touchstone to the series that runs deep. Even internationally, the awareness about Archie comics is surprising! With Archie, Betty, Veronica, Jughead, and the rest of the Archie gang being American icons for more than 75 years, we knew that we would have to deliver an authentic experience to players who have been Archie fans for years, or are experiencing the world of Riverdale for the first time. In the Archie world, the stories are accessible, the jokes are genuine, the relationships are heartfelt, and the morals are just. Everything about the series has broad appeal that makes readers – and now players! – eager to reconnect with Archie and immerse themselves into the world of Riverdale. Did you have any reservations about adapting a comic book to a video game? What were they? There are some hurdles to making a game the best experience possible when you’re developing a licensed product. On one hand, it’s important to stay true to the world that you’re constructing: for Archie, we had a responsibility to the history of the brand to make it authentic for users. On the other hand, the underlying game experience needs to be satisfying, immersive, and unique so that the mechanics of it are nearly seamless to the player. It would have been easy to make a licensed game that was true to the Archie world, but it would have only relied on the strength of the brand. That means we would be losing out on the huge population of players out there that aren’t familiar with the brand. It would also have been easy to make an unlicensed game with a functional mechanic that players would enjoy playing. However, without the wide reach of the Archie brand it would have been difficult or expensive to market the game to new users. I thing we managed to design and create both equally, and it believe shows in our game. Are there any typical pitfalls to consider before adapting a comic book, or any existing license for that matter, to a video game? We were lucking in getting to work with a license like Archie. There are great franchises out there from comics to television to films that would all work in one context or another for a game, but some franchises only have a limited scope or reach. A Soft Science Fiction title, for example, would make a great space combat game that is true to the franchise but fail miserably in attracting a broad range of audiences to the game unless it was flawlessly executed. Knowing that the reach of a franchise like Archie is so broad that I can discuss it simultaneously with my 9-year-old niece as well as my 88-year-old grandmother means it really was the perfect candidate for a game. What was it like to work hand in hand with the original authors of the comic book franchise? Having Archie Comics as a true partner to our efforts in developing Riverdale Rescue has been an immense help to our design and ongoing development. Having access to their writers, artists, in fact their whole “institutional memory” of all things Archie, is a boon to everything we do. For the designers and developers who can sometimes feel lost in how to “Archie-fy” an aspect of the game, being able to reach out to the team who’s responsible for it all has really accelerated development and kept the game true to the franchise. Early on in the partnership with Archie Comics we made a request to them for some comic books to get started with creative ideation; the first crates arrived the next week and haven’t stopped in the past two years since. The offices, lounges, and common spaces around Gogii are absolutely packed with comics, posters, original art, life-size cardboard standup characters, and more. It’s made it easy for our designers, developers, and art team to immerse themselves in all things Archie and remain faithful to the franchise. As well, as we built dialogue, created quests and tasks, and planned scheduled content updates for the game, we were able to pull content directly from past issues of the comics. There are more than 1800 quests in-game that come directly from past issues of Archie Comics, with more than 1000 more quests in our backlog waiting to get added for regular updates to the game. Do you want this game to appeal to fans of the comic book or are you going after a whole new audience? As I mentioned above, I think it’s important to meet the expectations of the die-hard Archie Comics fans while bringing in a whole new audience for the franchise. 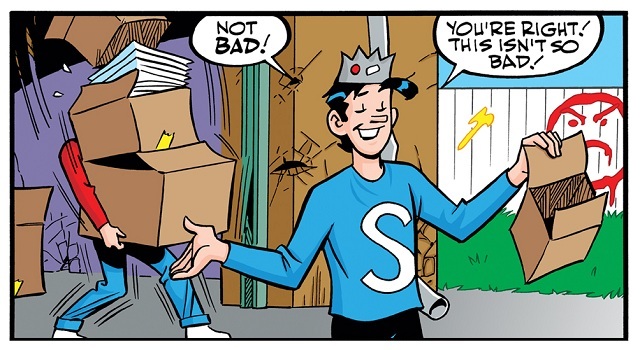 To enjoy the game you don’t have to know anything about Archie and his perpetual indecision over choosing Betty or Veronica, nor do you have to know that Jughead’s obsession with Pop Tate’s delicious hamburgers borders on the surreal. New players are introduced to the world of Riverdale and it’s inhabitants throughout the game while those players familiar with the world of Archie get to enact and play their favorite characters. Why would a fan of the Archie comics play your game versus read the comic book? We hope they do both! The game is as much an extension of the comics as we can make it, and we’re continuing to add more value so that both mediums can enhance each other in tandem. For example, players are rewarded with full issues of Archie Comics after completing certain tasks in-game that they can read right on their device. As well, as Archie’s world continues to expand into secondary franchises like Archie Afterlife and Archie 3000 comics, we’re already planning to create seasonal updates for the game that will give players a limited-time experience to play in those worlds. Why would a new customer, perhaps unfamiliar with the Archie comic franchise, be drawn to and enjoy the game? At its core, the game really is all about rescuing a town and making it yours along the way. City-building games and time-management games have a broad appeal to many different players, and we’ve enhanced this with original comic panels and art, classic dialogue and jokes, and a novel level progression system that players will love. Not only is it a great game made in the Archie universe, but at it’s core it’s really just a great game! Do you think comic books are more or less adaptable to games than movies or TV series? If I had my choice to do another franchise it would definitely be another comic series rather than a TV series or a film. I’m not particularly into comics myself, but I think the medium lends itself to games extremely well. With a TV series you’re limited in the scope of the world you can deliver: only a small number of shows really have an expansive universe and large ensemble cast to leverage. With the rest of the shows out there you’re boxed into a small continuum of experiences you can deliver. Films have a finite conflict that is almost always resolved at the end of the picture. With a film it would be even harder to tell the kind of ongoing story that a player could – and would – return to for weeks, months, or even years after beginning. For both TV series’ and films you also have the problem of characterization: players associate the performer with the character, and that can sometimes leave you with even less latitude creating the stories and experiences you might want to tell. With a comic book you get so much latitude in characterization, universe design, and ongoing conflict that any game would benefit from those opportunities.